If you saw ANT-MAN AND THE WASP, you probably noticed that Ghost, the film’s highly-advertised “supervillain,” wasn’t all that villainous. 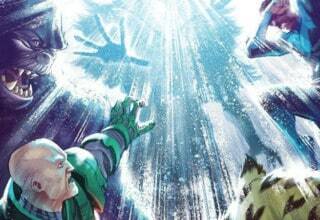 Well, at least the makers of the film seemed to feel that way; despite trying to kill Janet Van Dyne, Ghost ends up escaping justice, though she is remorseful for her actions — because of this, folks are speculating that Ghost will return as a hero, specifically as a member of the Thunderbolts. In their first appearance, the Thunderbolts were a bunch of C-list supervillains lead by Baron Zemo. They had disguised themselves as superheroes as part of Zemo’s plan to take over the world. However, most of the villains realized along the way that they actually liked being heroes instead. So, they turned against Zemo and kept their newfound superhero identities. After the first team broke up, the Thunderbolts name continued to be in use. Generally, these teams consist of supervillains trying their hand at being heroes. And, as you’ve probably guessed by now, Ghost was a member of one of those iterations. So, it makes sense that the not-so-villainous Ghost seen in ANT-MAN AND THE WASP could be hinting at the Thunderbolts. As said earlier, the comics version of Ghost has associated with them before. Now, the MCU version isn’t quite the same as the comics version. In the comics, Ghost is an enigmatic saboteur with a grudge to bear against corporations. In the MCU, Ghost’s real name is Ava Starr, and her sole motivation is that her powers are causing her to physically deteriorate. But, that doesn’t change the fact that Ava would fit in a film about villains trying to redeem themselves. And as it turns out, she’s not alone. There are already twenty MCU movies out there. As you’d expect, this means that there are several villains/former villains currently waiting around for something to happen. Besides Ghost, here are the ones who would be perfect for an MCU Thunderbolts lineup. Technically, in both the MCU and the comics, Bucky was never an actual supervillain. But he was a brainwashed assassin, and Bucky trying to get over that is a big part of his character. So, it’s not unlikely that Bucky would join a supervillain-rehabilitation team. 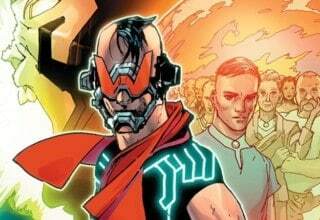 In fact, in the latest Thunderbolts comic series, Bucky was on the roster as field leader. Now, I suppose you could argue that Bucky won’t be able to join the Thunderbolts. After all, Thanos did disintegrate him in INFINITY WAR. But, let’s be honest with ourselves. Most of the people who died in INFINITY WAR are probably not going to stay dead. If SPIDER-MAN: HOMECOMING already has a sequel underway, I don’t see why Bucky can’t make a comeback either. Remember when I brought up Baron Zemo earlier when I was describing the Thunderbolts’ origin story? Well, as it turns out, the MCU version of Zemo already debuted in CIVIL WAR. In that film, Zemo seemed to be a plain-faced civilian at first, but he turned out to be a ruthless and manipulative mastermind. Which in itself is a pretty big departure from the comics version of Zemo, who’s a flamboyantly costumed Nazi nobleman. 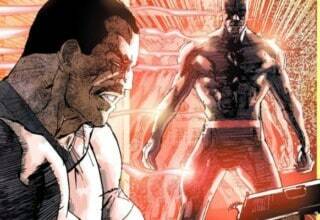 Images courtesy of Marvel Comics and Marvel Entertainment. Fortunately, the movie version of Zemo is a bit more sympathetic due to his motivations. Instead of being a wannabe world-dominating fascist, MCU Zemo simply wants revenge. 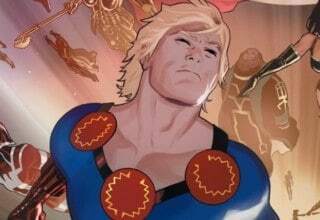 He harbors a grudge against superheroes because his family died when Ultron and the Avengers clashed in Sokovia. Sure, he definitely went a bit overboard there, but Ultron’s existence was practically Tony Stark’s fault. It was pretty compelling to see a non-powered average joe like Zemo take on the Avengers and almost win. At the end of CIVIL WAR, Zemo turns himself over to the authorities, but he remains alive and well. He also probably still has a chip on his shoulder about the whole superhero thing. What could be better than seeing him try to out-hero the heroes as a member of the Thunderbolts? Like Zemo, Adrian Toomes ended up safely in custody at the end of his debut film. He’s also similar to Zemo in that he turned out to be more sympathetic than expected. While Toomes did spend most of the movie as a threatening arms dealer, he was also a devoted family man with a strong sense of honor. For instance, he kept quiet about Spidey’s real identity while in jail because of Spider-man saving his life earlier. It’s clear how these traits could lead to Toomes’ redemption, making him a good fit for a villain-turned-hero team like the Thunderbolts. Honestly, the real criteria for being a Thunderbolts candidate is if you’re a supervillain who’s still around. And, if he wasn’t affected by INFINITY WAR, Emil Blonsky, AKA the Abomination, should be good to go. It certainly has been a while since we last saw the character in his debut in 2008’s THE INCREDIBLE HULK. 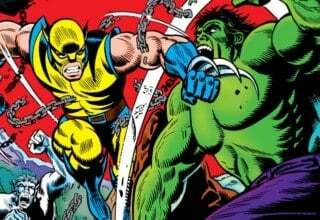 But last year, in the wake of THOR RAGNAROK, Marvel Studios president Kevin Feige was asked about THE INCREDIBLE HULK. This was his answer when asked about the plot threads leftover from the film. It’s hard to tell from that statement if Marvel Studios actually has anything planned for Emil Blonsky. But at least they still consider Blonsky to be a part of the MCU. And if Marvel Studio is looking for flashy additions to round out the Thunderbolts, Abomination is a solid choice. Though, I suppose we should keep in mind that a Thunderbolts film would inevitably draw comparisons to SUICIDE SQUAD. Abomination might end up drawing accusations of ripping off Killer Croc. Then again, THE INCREDIBLE HULK did come out about eight years before SUICIDE SQUAD did. I don’t think it would be that much of an issue. I think I’ve already covered the most prominent movie villains/former-villains who are still around in the MCU. But, it’s always good to cover your bases. The short film “All Hail The King,” which was a sequel of sorts to IRON MAN 3, left some plot threads hanging regarding weapon-maker Justin Hammer and fake-Mandarin Trevor Slattery. Justin is still in prison, while the Ten Rings organization abducted Slattery on behalf of the real version of the Mandarin, who has yet to appear onscreen. 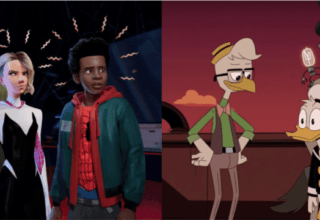 Both of these characters would be good as comic relief, but due to their relative lack of powers, I didn’t include them because I wasn’t quite sure how they would fit in with the rest of the team. However, it would be cool if the Ten Rings came back as the main adversaries for the Thunderbolts film, and if that’s the case, I imagine Slattery will definitely be making an appearance. Speaking of unresolved plot threads, at the end of THE INCREDIBLE HULK, it was hinted that the Hulk villain The Leader would be making a future appearance, but nothing really came out of it. With that in mind, it’s possible that the Leader could be making an appearance as an adversary or a member of the team. Although, in my opinion, I think it’d be cooler if the Thunderbolts were made of fully established villains, since, well, there are enough established villains still alive in the MCU to make up a team. If you couldn’t tell already, the Thunderbolts movie I have in mind is an AVENGERS-style team up comprised of villains and former villains who are still alive and aren’t from the more cosmic parts of the MCU. But, that’s not the only way an MCU Thunderbolts team could come together. 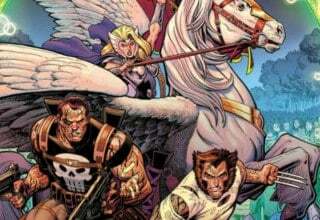 Instead of just being about former and current villains, it’s possible that a Thunderbolts movie would instead take a more comics based approach to its lineup. 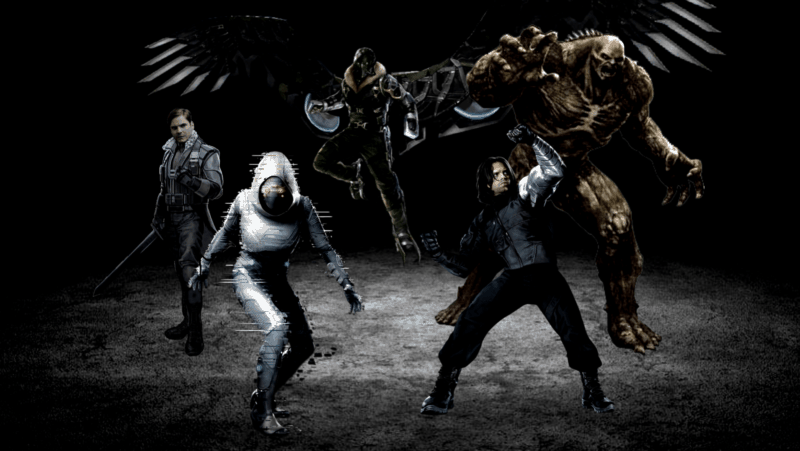 Ghost, Zemo, and Bucky have all joined the Thunderbolts in the comics, but Vulture and Abomination have never been part of the team. Hawkeye, on the other hand, did join the Thunderbolts for some time, which is fitting since he started out in the comics as an Iron Man villain. 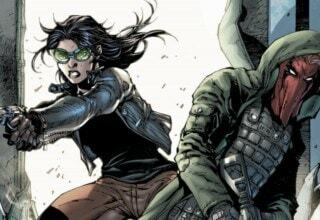 Another possible addition to the team would be Thunderbolts founding member Mockingbird, who appeared in the MCU television series AGENTS OF SHIELD. However, she didn’t have the sound manipulation abilities she has in the comics, and there was no mention of her initial identity as a costumed supervillain named Screaming Mimi. Regardless of the changes to her character though, Mockingbird being an MCU television character is probably enough to prevent her from crossing over to the films. 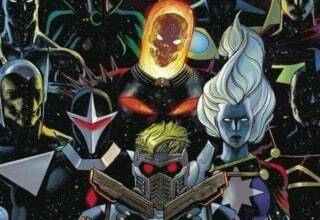 Though it’s unlikely that space-based characters like Nebula or Thanos’ Black Order would ever get involved with an earth-based supervillain redemption program, the cosmic side of Marvel could have a role to play in the Thunderbolts. For starters, certain alien-based foes from the past might have been stuck on Earth all along, and thus turn to the Thunderbolts program in exchange for a way home. Both the Chitauri and the Dark Elves have invaded Earth at some point in the past, and it’s possible some of them got stranded or somehow stayed alive after their hivemind control ship was destroyed. Also, when the heroes inevitably undo the effects of Thanos’ Infinity Gauntlet snap, they might end altering reality in other ways. As a side effect of that, certain villains and reformed heroes could come back to life, leading to some interesting roster possibilities. Characters like Killmonger, Crossbones, Whiplash, and more could be available depending on how reality-altering the conclusion to INFINITY WAR is. But, who knows what could happen? Maybe the MCU won’t even make a Thunderbolts film. Or, they will make it, but the roster will be mostly filled with supervillain-turned-hero characters who haven’t appeared in any of the prior films. 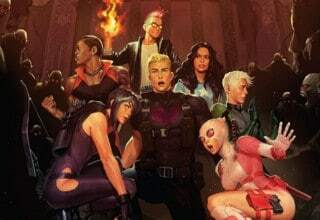 In any case, a Thunderbolts film would be a pretty fun opportunity for the MCU to try and upstage the Oscar-Winning SUICIDE SQUAD; and since there are twenty MCU films out there already, Marvel Studios might as well take advantage of all the villains they’ve left lying around. You have made a mistake here,as you have mixed up two characters. The character Mockingbird was never part of the thunderbolts. You ment another character Songbird.